Schools will soon release children out into the wild (i.e., your living rooms) for summer vacation. Beat the summer dregs with these family-friendly destinations that are close enough to home for a long weekend getaway, but far enough to count as vacation. For over 30 years, this NOLA close-proximity campground has been a long-standing summer getaway tradition for locals. 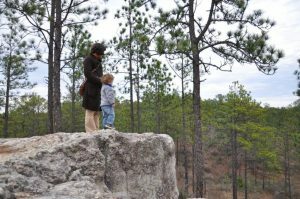 At only about 50 miles from the city, Land-O-Pines offers the outdoors without the long-haul drive. 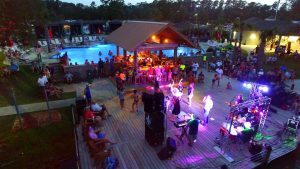 Campers can not only enjoy tent, RV, and cabin rentals, but also pools, a waterslide, mini-golf, or any one of its events like the Arrowhead Digging Expedition, April 12-14, or Big Al’s Crawfish Boil, April 26-28. 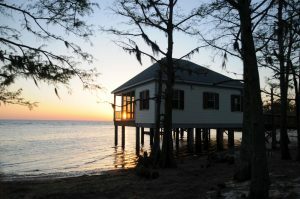 The 2,800-acre park is located on the shore of Lake Pontchartrain. On a clear day, visitors can see the lake dotted with multi-colored sailboats of all sizes and types. The sandy beach also is a delight for sunbathers and the park's nature trail is a favorite of nature lovers. After a full day of activities, overnight guests can enjoy the rustic charm of the campground or the scenic setting of the lakefront cabins. The 2019 season begins May 4. 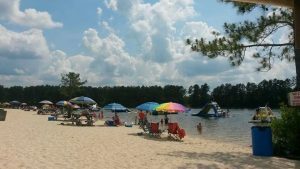 This beach on a lake offers everything a beach on the ocean might: swimming, shelter rentals, floating inflatables, boat rentals, and pizza delivery. That’s right, nearby Hunt Brothers Pizza will deliver your family meal right to you on the beach. White Sands doesn’t offer overnight accommodations, but nearby campgrounds offer tent and cabin rentals. 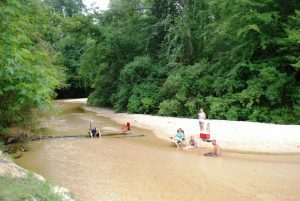 Try the Bogue Chitto Tubing Center and Louisiana River Adventures ​​for a well-rounded water-fun weekend. A luxury, high-end, private RV resort? Opening April 5. For families who love the outdoors, but don’t lovethe outdoors. You do need to own an RV to enjoy everything that Reunion Lake has to offer: poolside food and drink service, heated lazy river, floating lake obstacle course, family pool, cabanas, giant hot tub, mini-golf, Wi-Fi and cable TV, fenced-in dog park, and a lot more. 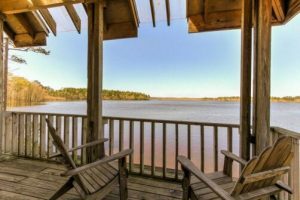 For families looking for a little peace and quiet, Little Black Creek offers sunset watching from porch wooden rockers and fully-furnished cabins with enough rooms that siblings, or parents, aren’t tripping over each other. Boat rentals and waterfront accommodations also offer peaceful fishing around a 640-acre lake and quiet family-ruminations along the nature trail. Deep in the Las Vegas of the South is a family haven surrounded by the clink and clang of casinos. The Margaritaville in Biloxi is a 23-story, family-friendly resort with 371 rooms, but what is most impressive is the 55,000-square-foot arcade and family entertainment center that takes up the entire second floor. 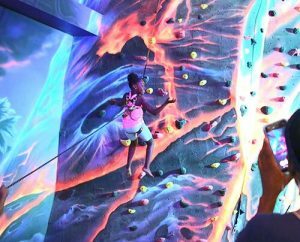 Open to everyone, not just resort guests, Escape offers over 100 arcade games, redemption center, two-story rock climbing wall, and the LandShark Bar & Grill. An almost 4-hour drive will transport families from the Big Easy to the lush green of Kisatchie National Forest — the only naturally forest in Louisiana. Over 604,000 acres are open for families to hike, fish, hunt, bike, canoe, camp, ride horseback, swim, and more. If staying overnight isn’t your family’s thing, the eastern side of the forest is closest to rustic bed and breakfasts in Natchitoches and grab warm meal at The Landing Restaurant & Bar or Lasyone's Meat Pie Restaurant.